Blackadder series 4 is also known as Blackadder Goes Forth. Whilst all the Blackadder series mix comedy and history, Blackadder series 4 is arguably the best written, and cleverest of all the series. Set in the First World War, Blackadder and Baldrick spend the series attempting to escape the insanity of the Flanders front line trenches. This is British comedy at it’s finest! 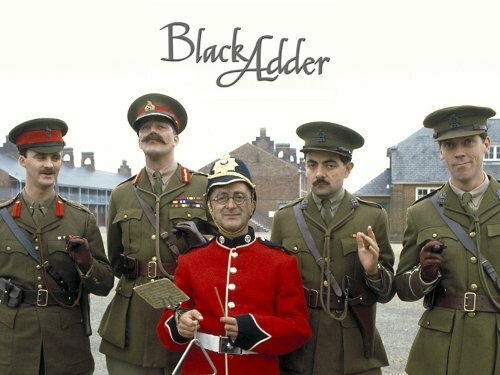 Given that the subject of the fourth Blackadder series could be sensitive, it is easy to realise why some people initially thought that Blackadder Series 4 trivialised the First World War. Nothing could be further from the truth though. In fact, this British sitcom has probably done more to highlight the tragedy, history, and sheer scale of loss of life than any other TV program, whether fact or fiction. 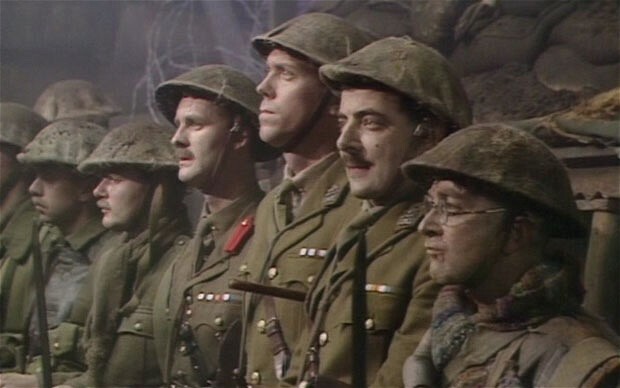 Blackadder Goes Forth is one of the best TV sitcom shows ever made, and it’s final episode should ALWAYS be watched on Armistice Day! The main characters of Blackadder and Baldrick return once more. In series 4, Blackadder is reduced even further in social status. This time, he is a Captain in the army. Baldrick, on the other hand, is once more ever so slightly elevated in social standing. He is a Private in the army, which is still far beneath Blackadder however. There are three other main characters in Blackadder Series 4. These are George, Captain Darling, and General Melchett. As with the previous three series of the show, each episode features a guest star. 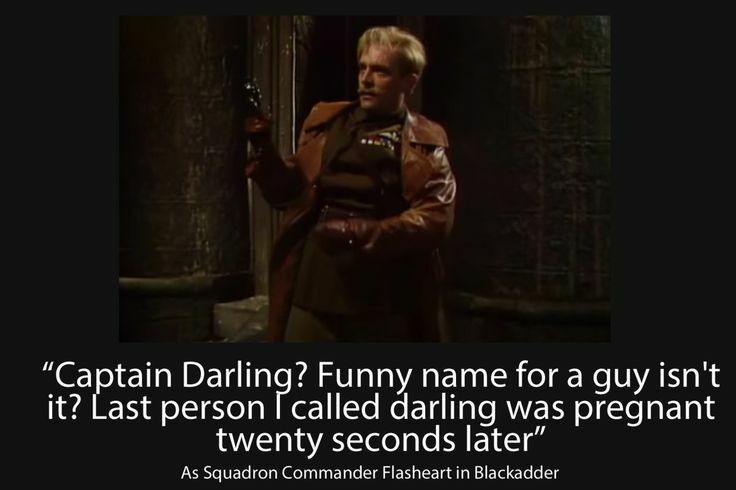 Once again, Rik Mayall steals the show as Lord Flashheart in episode 4. May you rest in peace oh genius of comedy! !